You know I never have any interest toward Korean beauty products but this one is really interesting! I saw it for the first time when Shannon or Shaaanxo on YouTube and I was like, "Okay that's really interesting!" she also gave a good review about it. But then, because Korean beauty product is not my thing, I forgot. Two days later, another favourite beauty guru from Indonesia, Harumi (MyTipsCantik) tried it in front of camera, doing first impression as Shannon did. Alright, this mask is really a thing! I went on my Shopee app on my phone, type the name and bam! Ordered it! What I like about this app is if you shop for more than 70K rupiah, you get free shipping payment! That's a win win right? When I opened the package for the first time, then applied the thin layer of mud-creamy mask on my face using a tiny spatula that comes with it. It felt so cold on my skin, like any most of masks feel. 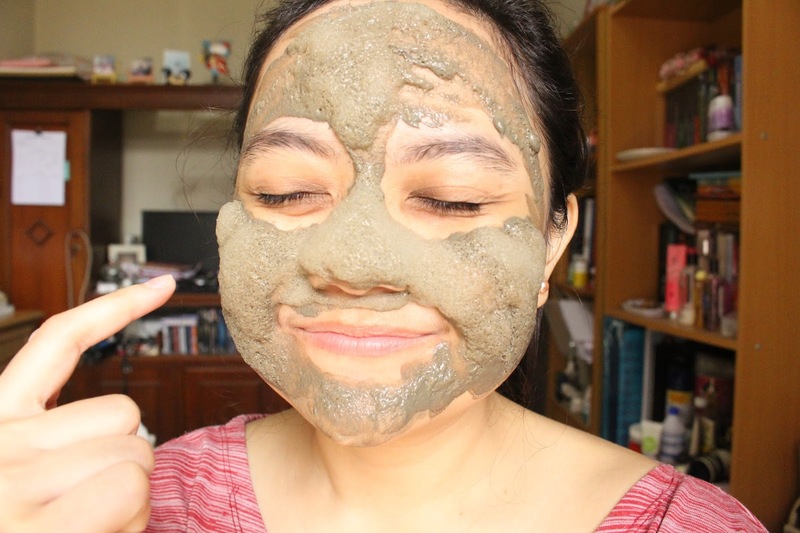 It was quite hard to apply because the spatula is like seriously too small but somehow I managed to apply the mask on my skin. clap clap clap! The sensation was the most interesting in this part. It was cold then started to tingling before I even finished applying it on my entire face. It had a sound too! It was like someone popping itty bitty tiny bubble wrap on my face! As the two of third minutes approached, I started feeling so tingling especially around my nose! I laughed so hard because of the sensation - also record it on my snapchat to entertain my friends lol. I looked at my face using my mirror and my front camera, I realised I looked somehow like having Greyscale - Game of Thrones references hello! The tingling sensation still on going as the popping bubble continued. That was hilarious because my little sister came into my room and said that I looked like a broken doll with foam all over my face. Good said, sis! 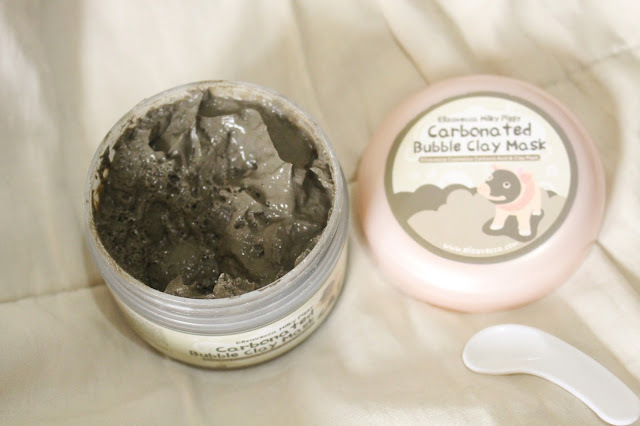 After 10 minutes of tingling and laughing, I gently massage the bubble into my skin, now it felt like a mud mask. After wait until 2 minutes, I took off the mask using soft face towel and warm water. 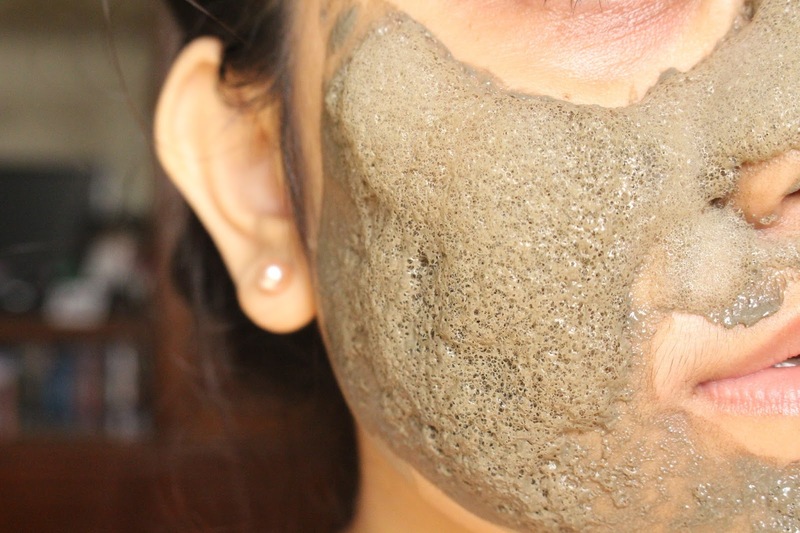 Not any other clay masks, this one was very easy to rinse off. For all of its weird, bubbly peculiarities, the mask had actually done its job! My skin was smooth, my pores were practically non-existent. My face wasn't red or irritated at all. It was so refreshing! 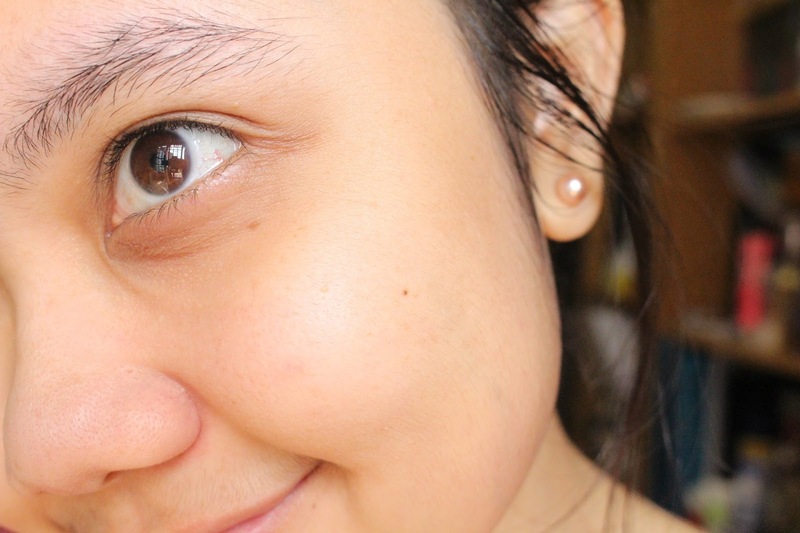 Instead, I was left with a flawless, picture-perfect complexion. 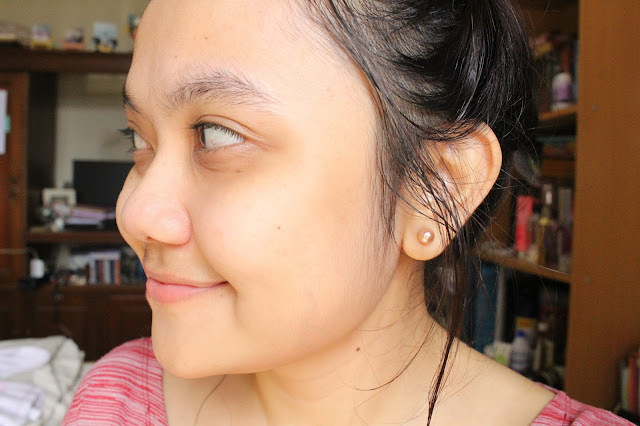 I have some bumps around my nose and it was gone or at least, fading. All that clay really did its job, and whether or not the bubbles had anything to do with the final result didn't really matter to me right now. They were hilarious ... and so very selfie-worthy!